Located in Palmdale, Restless Souls Manor Haunt is a long drive north through a long stretch of desert, but worth the trip. 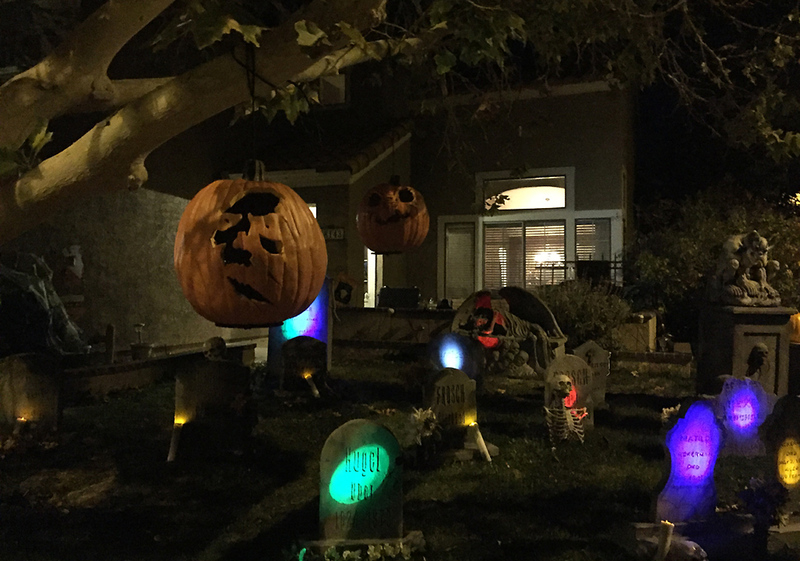 This neighborhood home haunt sets itself above the competition, with an immersive, improvisation approach and set pieces and decor as stunning as expensive any Halloween theme parks. The walk-through is 6 rooms long. Victims enter in small groups to enhance the scare experience; you can take your time, pausing to appreciate the decor (though this may make you more vulnerable to the dangers lurking within). There are jump scares, but Restless Souls Manor offers a "no scare" option: a flashing baton to ward off the spirits as you approach. Check out our Restless Souls Manor Archive.